-starting to get the hang of my new job! -starting a Fall Favorites Swap with Anna! Super excited for it...don't forget to join in! -starting a North East Florida Blogger Meet-up with Hannah...been wanting to do that for a while! -going to a Bridal Expo with my mom & sister over the weekend. It is so overwhelming...but so much fun! We had a blast. All of the vendors treat you so good, too. -speaking of over the weekend, my parents took us out to celebrate our engagement to Stonewood. Yum and so much fun! -finding my new "home" nail salon...a little more expensive (only by five dollars) but SO worth it...wish I could take each of you there! Hey Cami....awesome list.. and glad you got out of that bad situation before it blew into something big. Five senses to enjoy life...yeahhhh. me too. Have a great one out there. You rock. Oh I can almost smell the beach from that pictures! Glad the new job is going well! Happy Thursday thanks for the linkup! Hi Cami, Great post! Thank you for hosting Thankful Thursdays. I am now a new follower! Ooo! I never went to a bridal expo when I was planning- they seemed so overwhelming! I feel like I would have more fun at one now that I'm not planning anything. Pedicures are always better when they wrap your legs and feet with those hot towels, right?! :) looks wonderful! And so does that salad...I have been craving salads so much lately! Glad you're getting the hang of your job and getting to spend time with the loves in your life! 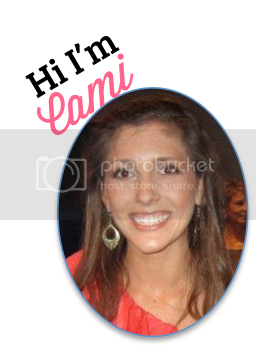 Hey Cami I love the new look of your blog! brightens up my day! I'm very happy about your engagement and I hope that you have many more happy years together.